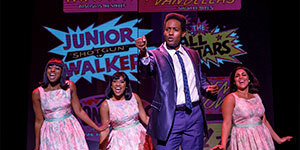 Experience the Music of Motown! 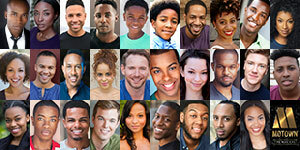 State Theatre New Jersey is proud to present Motown The Musical on March 23-25. This true story celebrates the legacy of Berry Gordy, the Motown record label, and the artists and songs that shaped America through the power of music. At the suggestion of his friend, singer William "Smokey" Robinson, Berry Gordy Jr. borrowed $800 from his family and on Jan. 12, 1959 formed his own company to make and sell records. As a tribute to his beloved “Motor City,” of Detroit, Michigan, Gordy named his label “Motown” (“Motor Town”) Records. The new company was headquartered in a house on Detroit's West Grand Boulevard. Above the front windows of Motown Records' new headquarters Gordy boldly erected a sign that read "Hitsville U.S.A." Under that banner, Barry Gordy and Motown created music that changed the world. Gordy modeled his hit factory after the Lincoln-Mercury assembly line where he had worked for two years. “I wanted a place where a kid off the street could walk in one door an unknown and come out another a recording artist—a star.” In the town where Ford, General Motors, and Chrysler created automobiles, Motown crafted the soul and pop classics that changed America and the artists behind them. 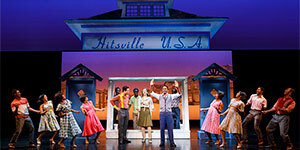 Motown not only released hit songs, but prepared its artists for the demands of touring and performing. In addition to assembling a winning team of songwriters, producers, vocalists, and the Funk Brothers house band, the label hired choreographer Cholly Atkins and ran the Motown Artist's Development Department in order to teach young acts to dance, dress, and carry themselves like professionals. The company had its first hit record in 1960 with “Money (That's What I Want),” a song co-written by Gordy for Barrett Strong. In 1961, the Miracles sold over a million copies of “Shop Around,” and The Marvelettes spent a week in the #1 position on the Billboard Hot 100 pop chart with “Please Mr. Postman.” The response to the Motown Sound across the country was infectious. Throughout the Sixties, the number of chart-topping artists, musicians, and groups under the Motown label was unprecedented. The label produced an impressive catalog of songs with success that could not be equaled, including "You've Really Got a Hold On Me," "Heat Wave," "Dancing in the Street," "Tracks of My Tears," "Where Did Our Love Go," "My Guy," "My Girl," "Baby Love," "Reach Out, I'll Be There," "I Can't Help Myself," "Get Ready," "Stop! In the Name of Love," and "The Way You Do the Things You Do." 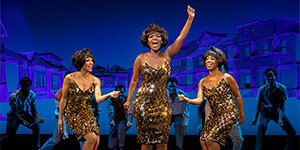 "Motown" became known not only as a record label, but as a style of music. Perhaps no other label is as closely identified with the sound it produced. “Even if you couldn’t put your finger on it, when a Motown song came on, you knew it.” Motown songs were a thrilling fusion of pop, soul, blues, jazz, doo wop, and gospel. The typical Motown song incorporated great melodies with elaborate productions that featured a prominent bass line, a strong, four-beat drum tempo, frequent use of brass, strings, tambourines, bells, and hand clapping, and interplay between the lead singer and backup vocalists. The songs themselves were often simple love songs with lyrics that expressed the joy of finding love or the sadness of heartache. Gordy believed that by sharing stories about the hopes, joys, and disappointments of love experienced by teenagers and young adults, his music could reach across the racial divide. “I wanted music for all people,” he professed. Gordy dubbed the signature sound that he created "The Sound of Young America,” a label that was stamped on all of the company's vinyl. The Motown sound evolved over the label’s history. Eventually the bright, up-tempo songs of the early ‘60s were replaced by artistically sophisticated music with a grittier and more socially aware soul. The label released songs like “War” and “What’s Going On” that addressed social unrest and the civil rights movement. As its success and influence flourished, Motown left Detroit and moved its offices to Los Angeles, California. The label continued to produce groundbreaking music and release hit records by a new generation of artists until Gordy sold Motown Records in 1988. By that time, Motown had become a part of the fabric of America. Don’t miss your chance to see how one man’s story became everyone’s music. 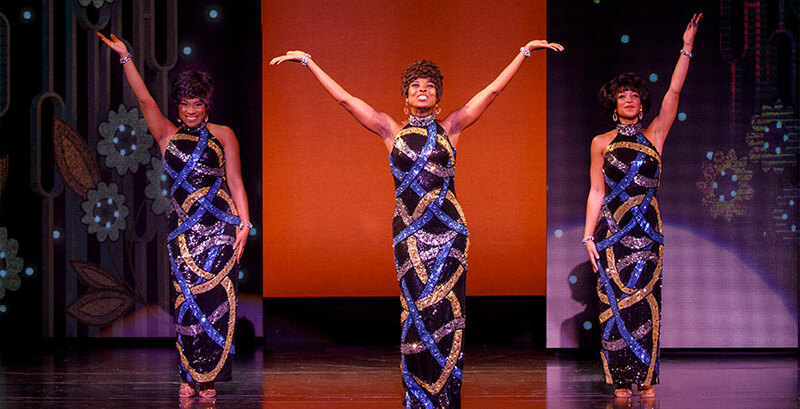 Celebrate the incredible, inspiring story behind America’s favorite record label when Motown The Musical comes to State Theatre New Jersey for four performances only March 23-25, 2018! 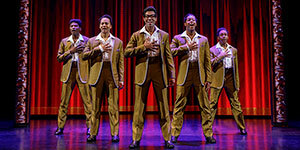 Motown The Musical is sponsored by Bank of America.